This is the where. Truly, I don’t know how. Oh my goodness, so adorable! I can relate. 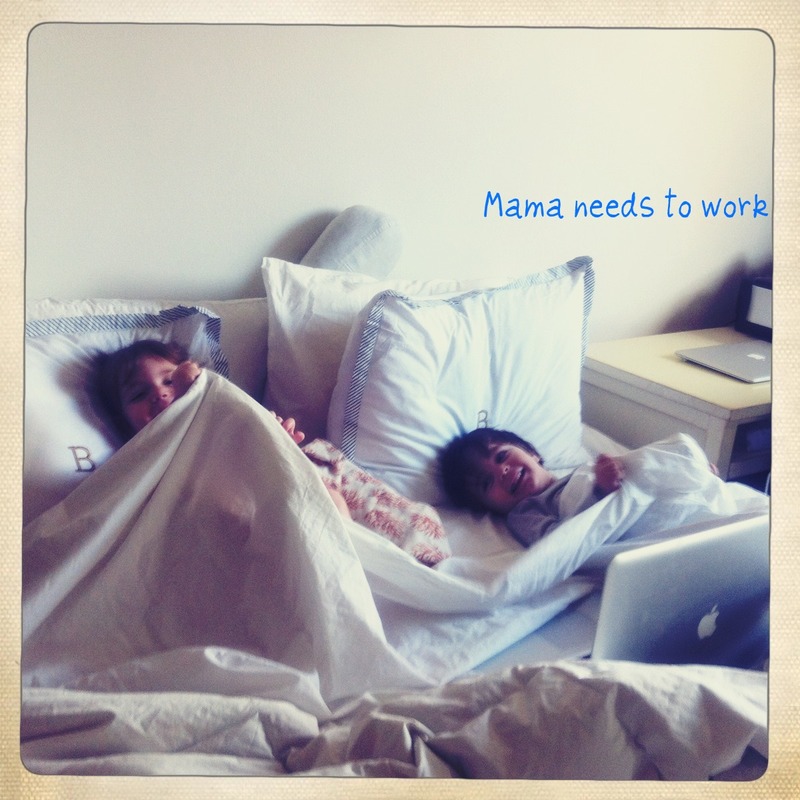 Bed as office, hang out, hide & seek place, etc. What a great memory you captured. How could you work? I would be so tempted to just cuddle up and play all day! Oh my heart, this? 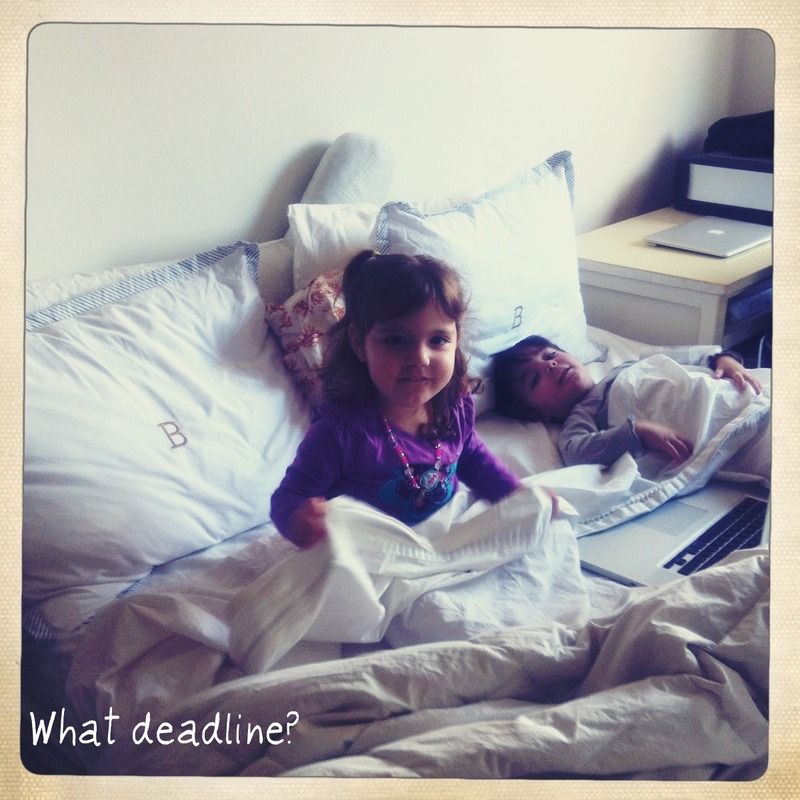 Is so a Mama-Writer’s life, isn’t it? Absolutely LOVE this! So cute. And so true when you need to get something done!